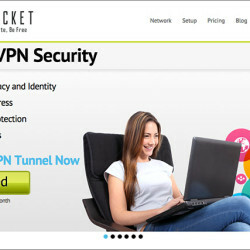 IronSocket is a VPN providers based in Hong Kong. It has over 50 servers in 36 nations, including USA, UK, Japan, Singapore, Hong Kong, Taiwan etc. It supports the following connection protocols: PPTP, L2TP and OpenVPN and also support HTTP Proxy, DNS Proxy (Smart DNS) and SOCKS5 Proxy. IronSocket is not blocked in China. Users can sign up for IronSocket’s services from China, and IronSocket’s VPN service can be used in China.